John Kenneth Muir's Reflections on Cult Movies and Classic TV: King Kong is Coming!!!! Just a day now until Peter Jackson's King Kong opens big, in thousands of theaters. 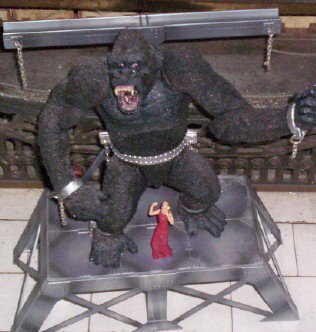 I'll be celebrating the day tomorrow right here on the blog with a few Kong "centric" posts. Most of the advanced reviews for the new Kong have been pretty good, and I'm a sucker for monster movies, so my enthuasiasm level is pretty high. Get ready for the Eighth Wonder of the World!